‘Standardisation’ means setting a standard, as well as bringing a condition into conformance with that standard. It provides the current best known method around how to carry out a particular job or task. 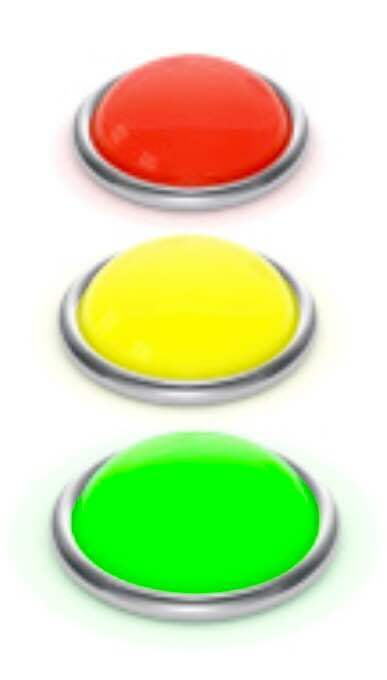 We have standards in our everyday life: Traffic Lights are universally red, amber, and green for example. 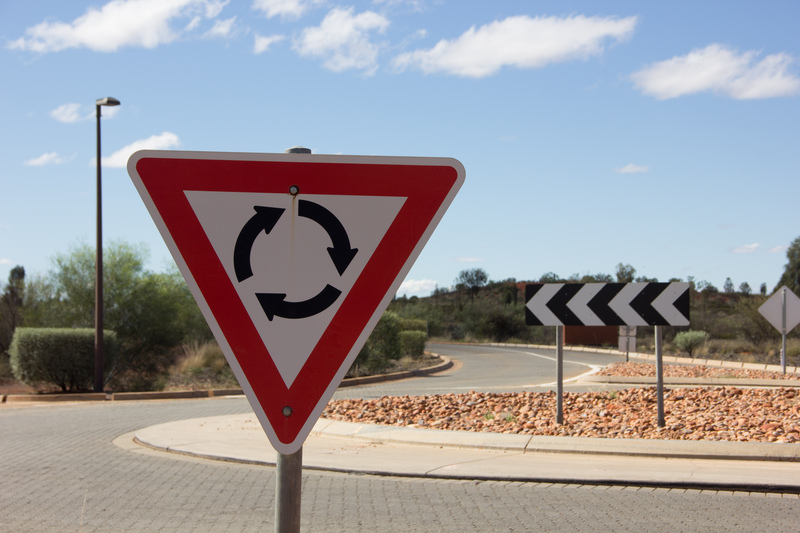 From a lean perspective, having Lean standard work means cost reduction and risk minimisation, as well as less time-spent training, diagnosing and troubleshooting abnormalities. It is an ideal method of minimising the number of variables that can have a negative affect on any given task. For example, on a car assembly line, a standard is set for each stage of the assembly. If an abnormality were to occur during the process, the source of the problem would be quickly highlighted and diagnosed, as it would appear (visually) to be non-standard. This type of process stability means the outcome of any given process is predictable and thus, delivery times can also be forecasted with greater accuracy. Remember, standards form the basis of continuous improvement, therefore an important part of creating a standard, is to continuously improve it! Are you setting standards in your manufacturing environment – and doing everything you can to improve them? This entry was posted in FLM Management Coaching, FMCG Manufacturing, Improvement Project, Lauras International, Manufacturing Improvement, Top Tips on April 30, 2015 by beajames. After 2 weeks of relaxation and sun in southern France it was time to drive back to Montpellier airport. We decided to leave plenty of time for the 90 minute journey and rather than take the motorway, we would see some of France via the minor roads. Six hours prior to check-in we were on our way. The issue started when we reached our first round-a-bout. From the three possible exits, two would lead us to our destination, but which direction should we take? No need to worry, we had plenty of time, so we decided to take the first exit. Numerous kilometres and round-a-bouts later we realised that we were a third of the way into our journey time and we weren’t getting any closer to our destination. We had better consult the map! Unfortunately our road map, which was kindly supplied by the care hire company, didn’t have the level of detail that would show our exact location. We knew where we wanted to be but not exactly how to get there. The gentle sightseeing trip, with plenty of time for a relaxing lunch soon turned into a mad panic, with terse conversations and clenched jaws. Check in time was getting closer would we make it in time? What would we do if we missed the plane? After some frantic driving and more by luck than design we managed to reach the airport, take a deep breath, and check in on time. Not a great end to an enjoyable vacation. When starting any journey, be it travel or an Improvement Programmes, it is imperative that detailed planning is undertaken prior to taking the first steps. As with my journey in France, the first round-a-bout or decision taken, if not correctly thought through can have undesireable consequences. The full understanding of these consequences is often not realised until it is too late and numerous other decisions have been taken based on this first poorly thought through judgement. The more detailed the plan the more likely the journey or project will stay on track with regards to outputs and timings. As the old idiom says” le diable est dans le detail” or “the devil is in the detail”. Regular progress reviews against these plans need to be undertaken and position against plan revised to ensure an enjoyable journey doesn’t become a mad panic. If you’re in the process of creating an Improvement Project Roadmap and would like it sense checked, then get in touch, we’d be happy to help. This entry was posted in FLM Management Coaching, FMCG Manufacturing, Improvement Project, Lauras International, Manufacturing Improvement, People Engagement, Top Tips and tagged Jason Gledhill, Lauras International, Project Roadmap on February 27, 2015 by beajames. Written by Nathanial Marshall, Senior Consultant at Lauras International. Imagine that you’ve just stepped into a new role. Unsurprisingly, you’ve inherited a whole host of problems that need your attention, but how do you decide which problems you need to deal with first…? Lauras International recommends using the Pareto Principle to target your top losses. The Pareto Principle, or ’80-20 Rule’ is one of the simplest and most powerful management tools available. It is a simple technique that is extremely helpful in bringing quick and easy clarity to complex situations and problems, especially when deciding where to focus effort and resources. Pareto’s Principle is named after the man who first discovered and described the ’80-20′ phenomenon, Vilfredo Pareto (1848-1923), an Italian economist and sociologist. An academic, Pareto was fascinated by social and political statistics and trends, and the mathematical interpretation of socio-economic systems. He first observed the ’80-20′ principle when researching and analysing wealth and income distribution trends in nineteenth-century England. Pareto noted that broadly 20 percent of the people owned 80 percent of the wealth. While the very first application of the Pareto Principle was originally in Pareto’s suggestion that “Eighty percent of the wealth is held by twenty percent of the people,” the principle was and can be extended to apply to almost all other distribution scenarios as well. So how would you apply the Pareto Principle in your area? Resolve the issue using Problem Solving Tools. This demonstrates a perfect Pareto effect that 80% of downtime (800 of 1000 mins) is caused by 4 reason codes (4/20 reason codes=20%). By prioritising and reducing downtime in these areas, you will make the biggest difference. For more detail about the 7 steps, or if you’d like help deciding where to focus Continuous Improvement effort and resources to target your top losses – then please get in touch. This entry was posted in FLM Management Coaching, Lauras International, Top Tips on February 16, 2015 by beajames. Ever been frustrated by the struggle to increase the efficiency on your line? Then why not think about increasing the speed of your bottleneck process? When we suggest this, we often hear in reply “but it just leads to more waste – we get more output by running slower”. However, it doesn’t have to be like that. Every factory we go into, we are typically able to increase the speed of the bottleneck process by at least 10% without compromising the safety or quality of the product and the people producing it. In addition, we don’t even have to problem solve. How? We adjust a little and watch a lot. We find machines running below their target speed due to a perception of problems if the speed is raised. Often, the problems that occurred at those high speeds have been solved and the machine speed was never raised back to its previous standard. By turning up the speed of your machine an increment at a time and studying the effect of that increase for a period of time you will almost certainly find no further issues. Just one positive result – an increase in throughput. Adjust a little and watch a lot. You will get more output with no more waste, no more downtime and no more physical work. It costs nothing; it really is free speed. A 10% increase in speed gives you 10% more output. Eventually, there will come a point where one more increase does give you an issue. This is when we recommend using the ‘Problem Cause Solution’ method to problem solve. If you’d like us to watch your lines to see where you could make manufacturing improvements, then get in touch. This entry was posted in Lauras International, Reliable Maintenance, Top Tips, TPM and tagged Line Speed Improvement, Manufacturing Improvement on October 31, 2014 by beajames. Written by Jeremy Praud, Head of UK & Europe at Lauras International. I toyed with the idea of calling this blog ‘how to choose a supplier’, but realised that when it comes to embarking on a strategic change project that will shape the whole future of your company, you’re really looking for more – you’re looking for a partner. As an Improvement Support partner to our clients, we’ve been asked a number of times to assist with the tender process of acquiring, building, or divesting factories. Ensure sure your initial brief is sound – involve your stakeholders, scope your requirements, and think through all the decisions that have to be made. Base your decision on a balanced matrix of supplier capabilities, experience, and tender responses that will help you make your final decision. Only invite companies to tender that have a strong reputation and all the capabilities you require for your project. This requires a fair bit of homework. Make the process as clear and the timeframe as short as possible – so all involved know what is expected and remain engaged throughout the process. When it comes to making a decision – rule tenders based on your matrix and remember to feedback to the unsuccessful companies and thank them for their tender. Always perform due diligence on your final shortlist to assess financial stability before awarding the contract to your project partner. If you have a strategic change project on the horizon and would like some assistance in choosing partners that will help guarantee the success of the project – then get in touch today and we’ll guide you through the selection process. This entry was posted in Lauras International, Top Tips and tagged Lean Manufacturing, Manufacturing, Manufacturing Improvement, UK Manufacturing on October 13, 2014 by beajames. The best performing teams give each other feedback in a ratio of 5.6 positive to 1 negative (source Institute of Leadership & Management). Poor performing teams give far less positive feedback to each other… why is this? Could it be that poor performing teams have very little that’s positive to talk about, or is it that teams make more improvement, and hence become the best performers, when they have a good mix of positive and negative feedback? We believe in the latter. Feedback is an opportunity for the manager to let each team member know how they are doing, both positive and negative, and to enlighten them to their Blind Area, as described by the Johari Window Model. We are all human; focussing on the negative can be demoralising but a balance can be motivational. Building on strengths and developing weaknesses by agreeing targets, along with a way for each individual to measure their own performance, establishes an improvement culture. Check out the Weetabix Case Study to see what was achieved when the company focussed on improving employee engagement by using a range of tools and techniques, including the optimum feedback ratio. If you’re looking to establish a culture of improvement in your organisation, then why not get in touch to see how we could help. This entry was posted in Aspire Programme, FLM Management Coaching, Lauras International, People Engagement, Top Tips and tagged Feedback, Leadership, Management, Motivation on September 4, 2014 by beajames.